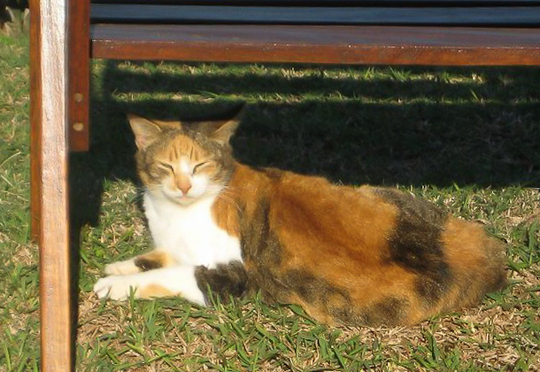 Traveling cat spotted in Durban, a large South African town known for its busy port, subtropical climate and extensive beaches. Sounds like a great place. Have a wonderful wordless Wednesday. I bet the sun is wonderful in South Africa. Hope your Wednesday was wonderful. Come by our blog we are celebrating our 50th blogpost by having our 1st give-a-way! what a beautiful calico girl! !